They are 150 kr per person and seats are very limited. 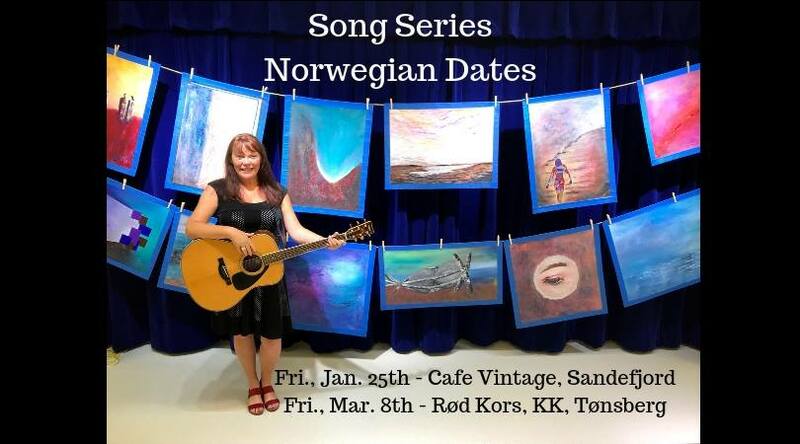 The "Song Series" is a 3-hr show (with break) whereby the artist uses her original songs and paintings to share her personal journey through adversity. Michelle Myrick-Olsen is a singer, songwriter, musician and visual artist originally from Canada, and now living with her husband in Nøtterøy. She created the "Song Series" as a way to combine her artistic passions, but also to share a message of hope, truth and self-belief. The "Song Series" has an inspirational impact on its audience. People leave inspired to live their best life through developing strong belief in themselves and their own ability to overcome adversity. To arrange for tickets in advance (advised): VIPPs Michelle at 41476613 or send email to michelle@ammoartworks.com. If using VIPPs, please include the email address you want your tickets sent to. A little of what audiences are saying so far.